After an extremely busy August and September, we had time to catch our breath, take a few naps, and do some sightseeing in October! We stayed at some beautiful campgrounds in Tennessee, South Carolina and Florida. We visited the U.S. Space and Rocket Center in Huntsville, Alabama – something that’s been on our to-do list for quite some time. We stayed in the Hilton Head area for a week and presented 2 seminars on smartphones, one for the Sun City Hilton Head Computer Club, and again for the Hilton Head Island Computer Club. Our last night on the road was spent at the gorgeous Anastasia Island State Park in Florida. Keep reading this newsletter and you’ll see some pretty nice pictures! Oh … and you can click on the map to see the full web page of our travel map. Then you can click on any of the little green tents to open up a dialog box that includes links to our personal blog about those places. We are constantly learning new things, so we add new seminars. Al three of these new titles will be offered at the Good Sam rally in Daytona and, of course at our own TechnoGeek Rally on Dec 2-8. If you can only fit one of our seminars into your rally schedule, we wanted you to have an overview. This seminar touches on all the devices, software and apps we use and how our videos can teach you more. We used to cover Trip Planning and GPS Navigation in one seminar and it was too much, they are really two separate topics. Picasa can do so much with your pictures, it does you no good if you don’t know where your pictures are! This seminar teaches you tools and techniques for organizing, moving, locating, and generally managing your photo library using Picasa. Anyone US Cellular provider/using FoxFi successfully? The rally registration fee includes 9 meals! All homemade by Tracey and Phil – feast your eyes on this menu for the week. We are limiting registrations to 35 RVs – Register Today! Which do you like best about traveling? The journey or the destination? Read Chuck Woodbury’s thoughts on the subject and get a little insight why we think that RVing gives you the best of both! It’s places like this that give me joy in using my good digital SLR camera, and then viewing and editing the pictures later in Picasa. The picture of the two of us is of particular interest since we were all alone on this beach, and we didn’t have a tripod. How did we get that picture? The answer is at the bottom of this post. 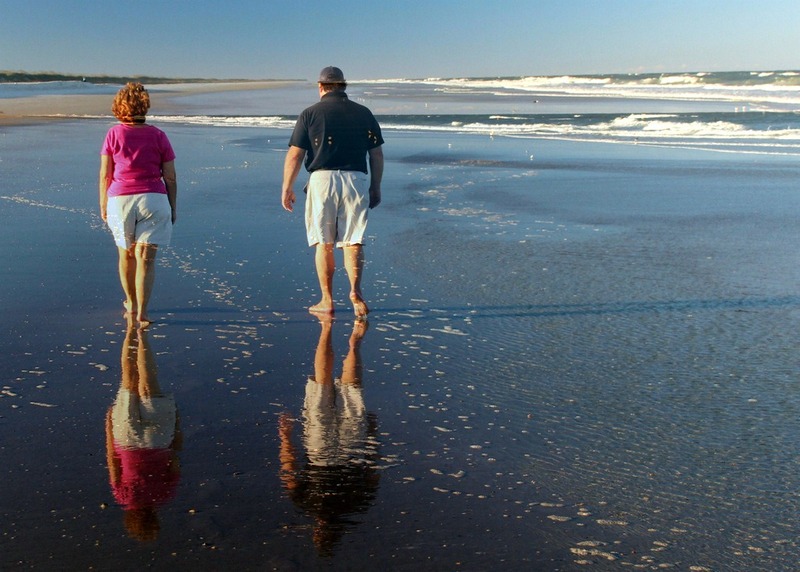 Anastasia Island is a Florida State park on the beach at St. Augustine. We only stayed there one night, but we made our way to the beach at those all-important photography times of sunset and sunrise. I can’t stop looking at these pictures and just feeling love for the world of beauty that we live in. I took over 250 pictures! With help from Picasa’s Side-by-Side editing feature, I chose the 49 best and then edited them so they look even better. Published by MrsGeek, in Newsletter. 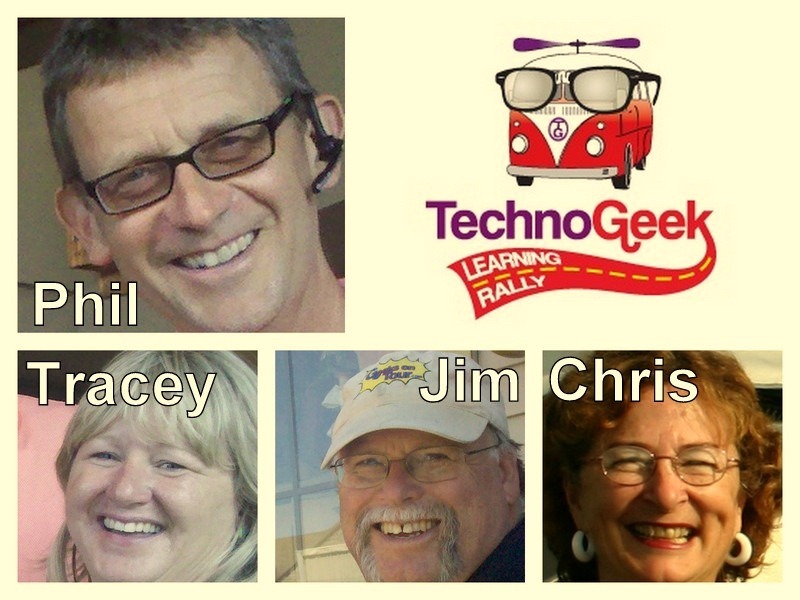 Tagged with Google Maps, Picasa, Techno-Geek Learning Rally, Windows 8.